The Great MLS Talent Drain? Right after MLS Cup 2012 we wrote about the bigger problem facing MLS which was that of Landon Donovan taking an extended leave. He still hasn’t returned but his manager at the LA Galaxy Bruce Arena recently said, “He’s definitely playing this year.” The Galaxy and in particular the MLS could really use his return too. The January transfer window is rapidly coming to a close. In the last few days the MLS has seen the loan of striker Kei Kamara from Sporting KC to Norwich City in the Barclay’s Premier League, the selling of Andy Najar from DC United to Anderlecht in Belgium and the on again/off again situation of FC Dallas midfielder Brek Shea who may or may not be moving onto Stoke CIty in the BPL. This could prove to be a costly couple of days for the MLS. While Kamara may only be gone for 10 MLS games he also may end up signing with Norwich and stay in England leaving Sporting KC to search for another goal scorer. Shea is considered to be a rising star in US Soccer. While maturity can be an issue at times, that aside he is a tremendous talent and a future face of soccer in America and losing him to the UK is tough to swallow but not unexpected. The biggest loss is Najar. 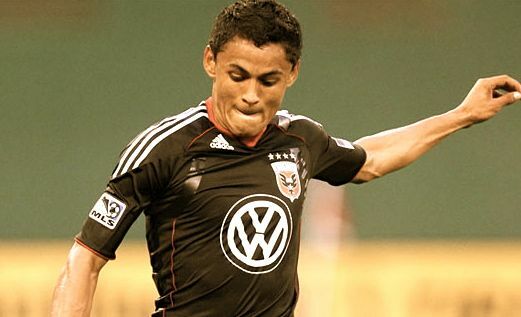 Andy Najar was born in Honduras and his family emigrated to Virginia when he was 13. While a US citizen he chose to play for the Honduras National Team. He is a Homegrown player and is only 19 years old. Najar’s upside is somewhere north of Alaska. He has talent, plain and simple. Combine his skill, his background and the fact that he was playing for a 4-time MLS Champion club all the while down the street from the White House. Could someone have written this any better? Najar will find success in Europe much like Kamara and Shea will but Najar has a chance to be something special. Possibly even a next generation Arjen Robben. He has that kind of explosive element to him. It’s something that shows up really well in highlights and could have put MLS routinely in places you don’t normally see it, like SportsCenter. This offseason has been one for the ages in MLS and it’s not even done yet. The regular season doesn’t kick off until March 2nd! Between now and then the MLS has to try and stop the flow of talented players out of MLS. From Beckham to Montero to Najar and possible Shea and Donovan. That’s a lot of good, marketable names to replace in one offseason. The league can only hope that names like Zusi, Gonzalez, Wondolowski, Pontius, and Keane stick around a little bit longer.